Samsung’s latest flagship phones restore a couple of popular features dropped from the previous generation. Their overall design, however, is similar to the Galaxy S6 line-up. Some experts suggested that could pose a challenge. 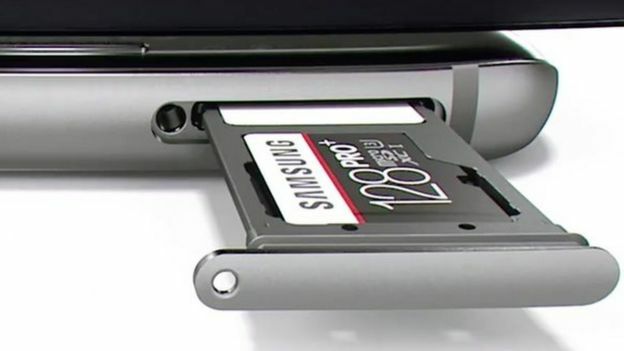 “Although there are significant improvements under the bonnet with the camera, the chipset, the removable storage and the water resistance, Samsung will have to make sure that’s visible to consumers,” commented Ian Fogg from the IHS Technology consultancy. Samsung does not disclose smartphone sales numbers. However its share of the market dropped by 2% in 2015, according to research firm IDC, at a time when Apple, Huawei and Xiaomi made gains. Even so, IDC’s data still indicates the South Korean firm remains the bestselling brand by a wide margin.